I made a FB page! Once again, if you have read my Haul Update recently, you can purchase Grace Clay (200g a pack) from Sophie and Toffee for SGD $25.50. You can use this coupon code ( JCSV6NC) for a 10% discount! I like the packaging. It's really a lot smaller than what I expect when I see pictures of it online. A lot of items I get in real like surprise me as they are a lot smaller. (Only Hearty surprised me cause it was bigger than expected.) So inside, there are 2 tubes of clay, 100g each. This is nice as it allows you to open 100g and keep the other tube fresh as the packaging is airtight. HOWEVER! Here is a picture of the Grace Light I wanted to buy. It dried up. Air somehow entered the tube, which was supposed to be airtight. They are clasped tight with a metal... clip? You can't tear it off. Only snipping the plastic will work. Not much a problem with you make sure you don't cut the clay and throw them away too. Overall: Not too bad. Though, due to the air in the tube thing, I gave lower points. No need for scoring as this relative to your preferences (: I'll go through my feel on this clay. Dries translucent- Add white so it dries a solid colour. This is an important property to remember. You can toy around and experiment. I saw people using this to make fruit slices. Elasticity- Not too sure about this. many sites say it is elastic. I try my revived Grace Light and it is.. well, soft? But this clay cracked. Not too sure what to do about that. But.. It dries hard, so will be sturdy. If you bent it when it is drying, it will leave a white indentation. Or if the bend portion is thin, that portion my be more fragile. Can be Coloured- With pastel, water colours, acrylic, poster paint etc. All works. I think water colour leaves it more translucent than poster or acrylic. Not too sure. Colour dries a lot darker- So if you want a light purple, add minimal paint. Or it may turn out really dark! I added black paint into white clay. Black + White = Grey. Logic. 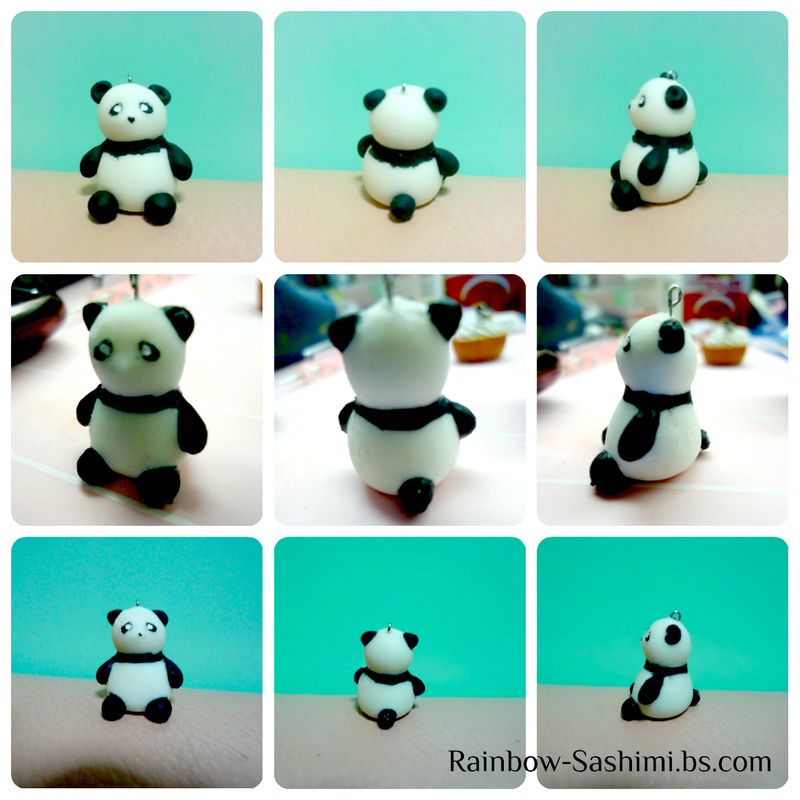 When varnishing my Panda charm, which I used black pastel, the colour ran. (Sorry, no pictures! My hand was rather messy with varnish) And messed up the bear. Be careful. Likely that the darker the colour, the likelier it is to run. When I wanted to varnish my panda, and the colour ran, I thought of washing it. It killed the panda. (*ﾟﾛﾟ) The panda has 'slimmed down' and details ran. The clay is very water soluble. Dissolved very quickly. Find a good varnish. Varnish is water resistant. Do not throw it in water and expect it to come out without damage. Holds details moderately ok- Details like macaroon feets may 'spring back' a little. It's the resin in it. 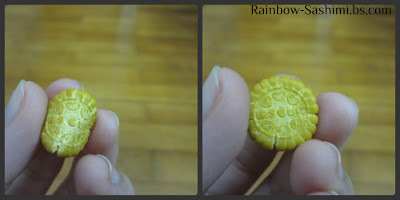 Is heavy- Depends on whether you like heavy clay charms or not, because Grace is rather heavy. I think Grace will be a good clay for miniatures! For a small tube is it quite costly, and since it is hard and sturdy, it is good to make minis out of Grace. So that's it! Hope this review was informative for you! If you have any questions, do feel free to comment! Don't be shy (*´・ｖ・) This is my honest review and feedback based on my impressions. Feel free to Google up other reviews and compare! As I mentioned, whether this clay is good or not is relative to the user. Personally like the weight and sturdiness. Oh, I see. I saw something similar before! Anyway, that was an extra tube of clay given for free. The seller already told me it was dried. 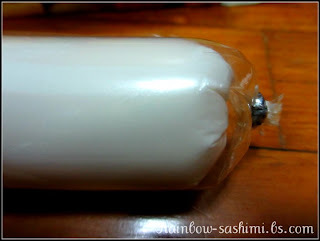 I asked the seller to give me that tube of Grace Light for me to experiment it.